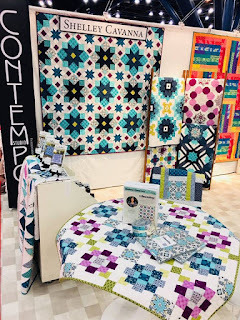 Welcome back for Day 3 of our Quilt Market booth tour! 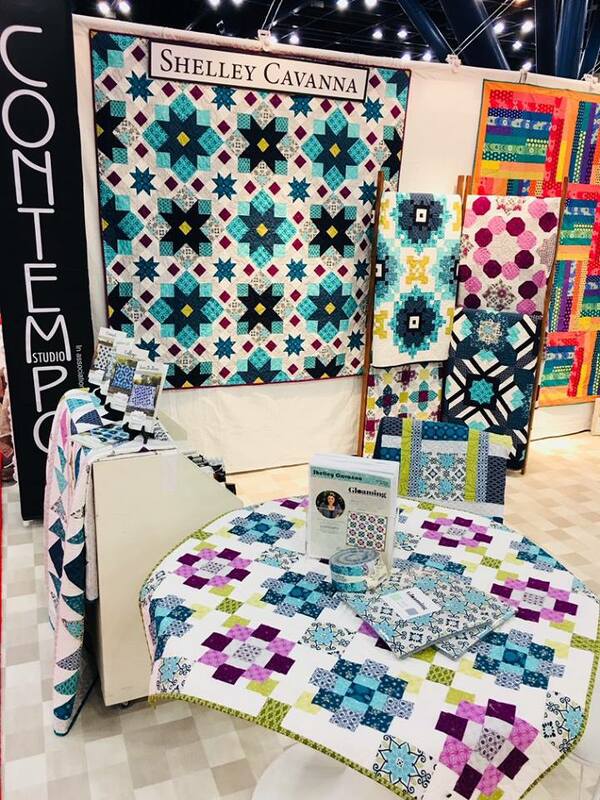 Today we're showing the Contempo Studio sections of the booth, featuring six different designers. 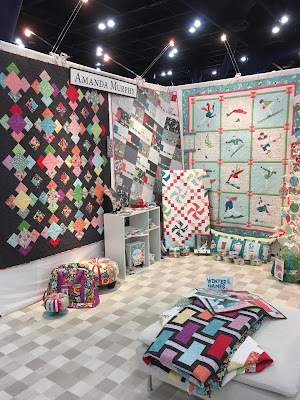 First up is Amanda Murphy. Amanda showed two lines at the show; Meadow Dance (quilt on the left below) and Winter Games (center and right quilts). 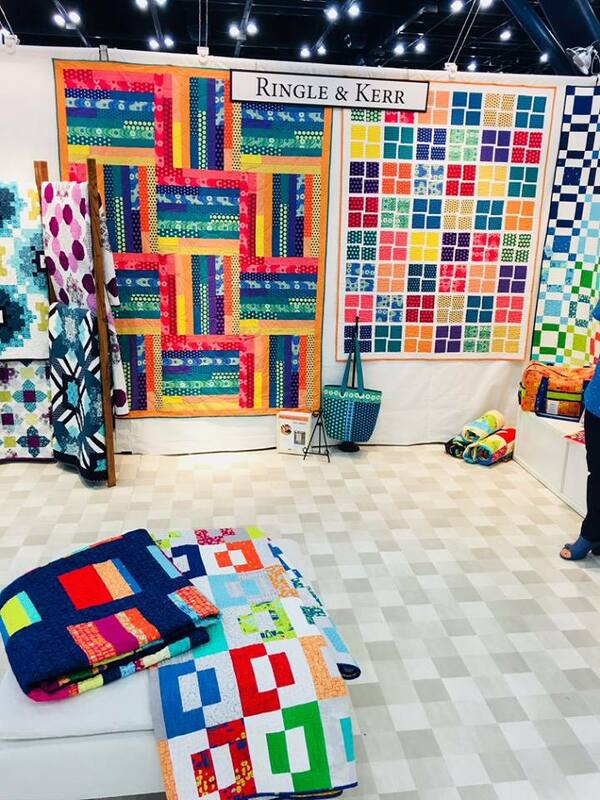 Plenty of fun accessories made from her two fabric collections--a close-up of the Slope quilt made with Winter Games is on the wall, and then decorated hand towels featuring Meadow Dance on the shelf. Meadow Dance tuffets and bags! 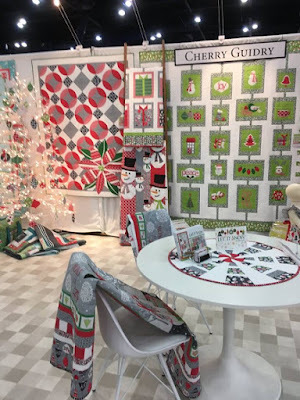 Cherry Guidry's Christmas 2018 collection (previewed now) is Let It Snow. 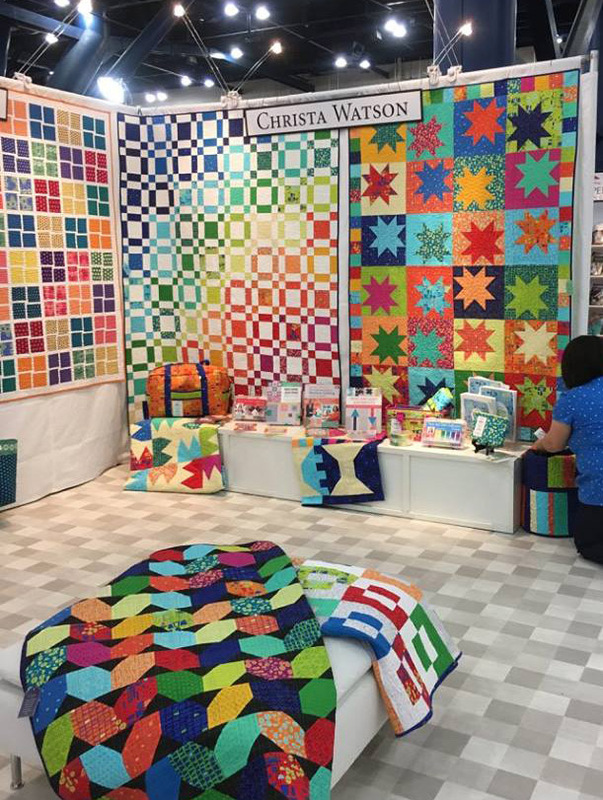 We are loving the bold, bright colors of Christa Watson's new Modern Marks collection! 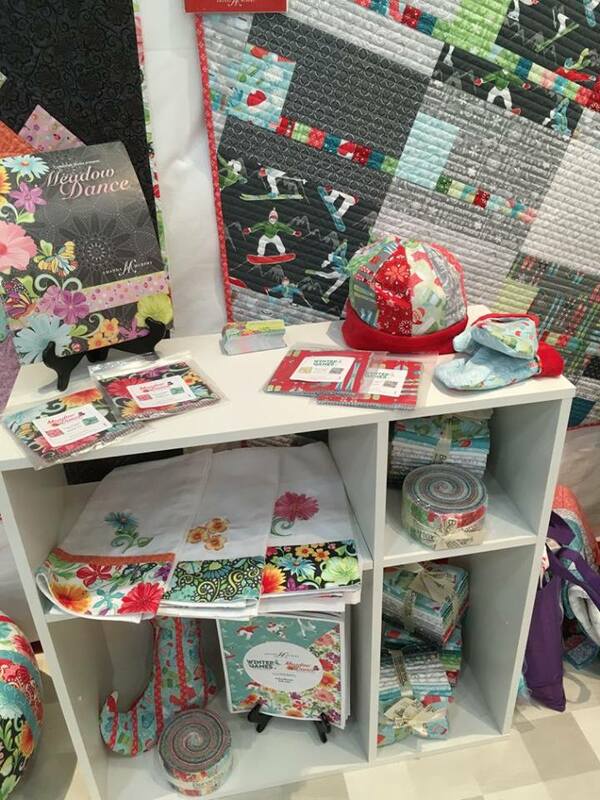 Dot lovers, get ready for dotty fun with Dot Crazy collection by Weeks Ringle and Bill Kerr. Gloaming by Shelley Cavanna: Watch for this collection early next year! 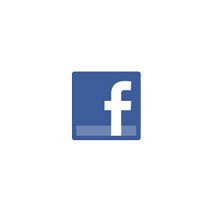 Fantastic look at your booth. 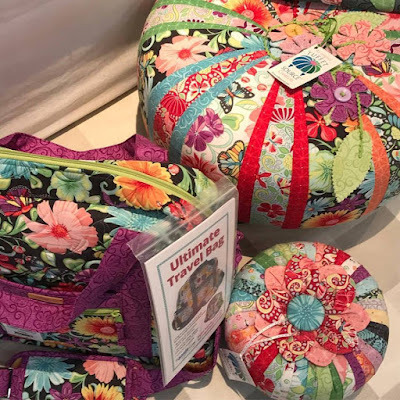 Love the bright fabrics and look forward to seeing them in a shop near me. 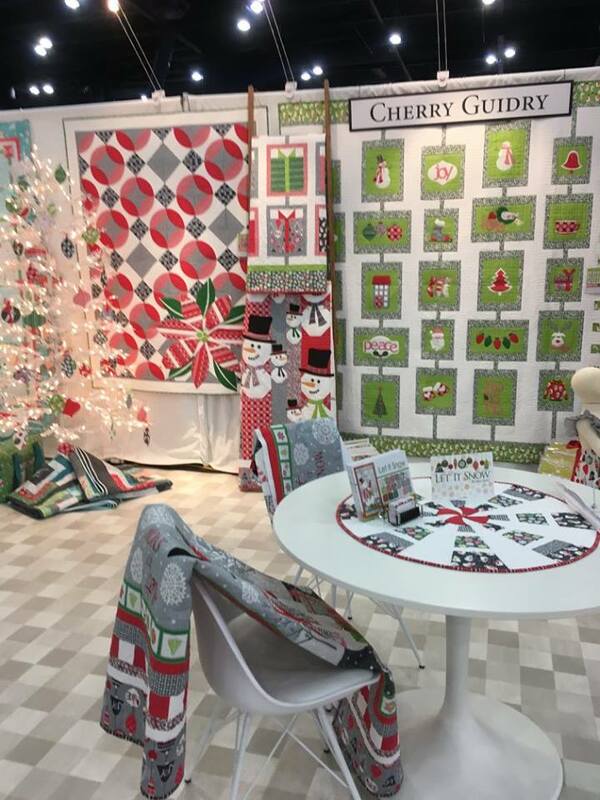 Your booth is great!! I love all the bright colors and fabrics.